The Weather Log Aer Vane TM was designed to meet or exceed the EPA guidelines for regulatory modeling applications. The balanced propeller is supported in stainless steel instrument ball bearings. The propeller drives a serrated disc which generates pulses in an optical switch. EGS, under a strategic partnership with CustomWeather Inc. USA, can provide weather forecasting for any location in the world and Asian region in particular. Providing weather forecast service is something, we give extreme importance and a lot of detail, as flight dispatching should be done at the right time. With 24x7 monitoring and tracking network system, we are able to dispatch the flights in almost every possible weather conditions. We have in Stock for our clients Antique Wooden Weather Station. 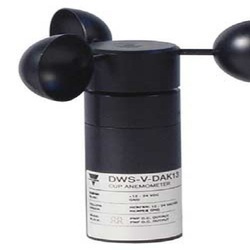 Weather monitoring modules can be integrated with Gateway or deployed separately will enable in monitoring remotely weather condition in the agriculture field. Schneider Electric provides the critical information weather-sensitive businesses rely on to run a safer, more efficient operation. From airports to utilities to the sports and recreation industry, these businesses trust Schneider Electric’s accurate, cutting-edge solutions.